Over the years we’ve noticed that some butterflies appear to be attracted to certain perfumes worn by our patrons. 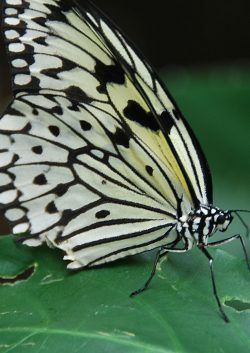 The Rice paper seems to be the species most often attracted to fragrances. Try spritzing yourself with a little “Moonlight Path” before you come to the center next time, and see what happens!